Bound in-house, on demand and cost effective! Cover Start Packs include multiple spine widths in the same box, which is very practical when binding different size documents in smaller volumes. 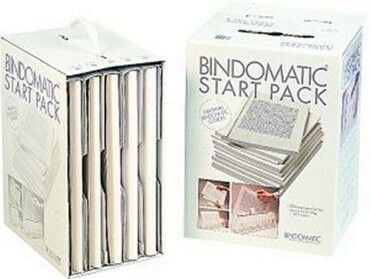 There are three types of start packs that include 50, 80 or 100 covers of multiple spine widths. Direct and full visibility of the first printed page of the document. Spine widths depending on start pack in ranges från 1.5-15 mm. Se description in the selection! Print On Demand fullcard covers in glossy paper supplied with separate glue strips.